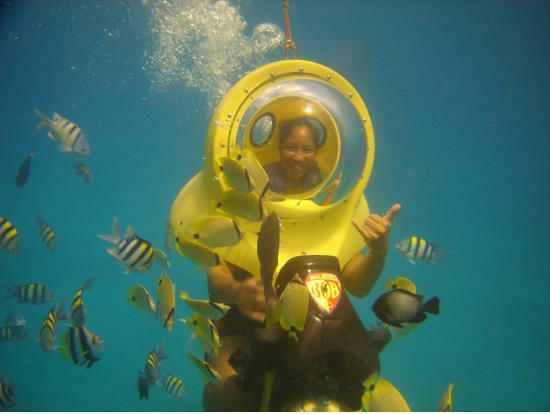 First there was scuba diving… and then there was BOB Diving! 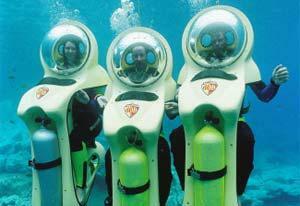 All the underwater fun of traditional scuba diving, with much less effort. Despite looking like something secret agent 007 might use, you don’t need to be James Bond to enjoy exploring Tenerife’s underwater world. 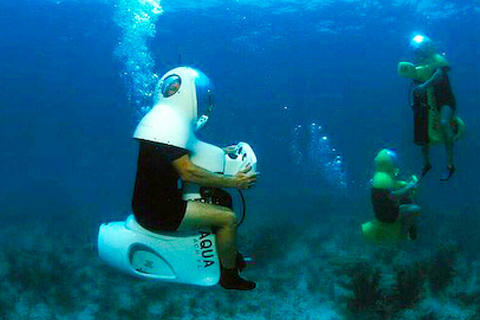 Modern underwater scooters can be used by anyone. 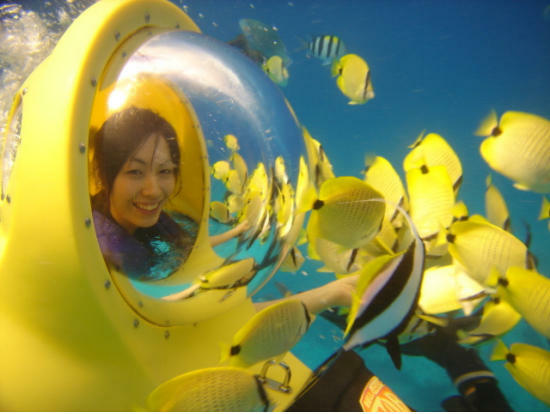 All the tour will take you 2 hours including instructions, preparation and going to the sea by boat and clear time of diving is about 30 min under water. 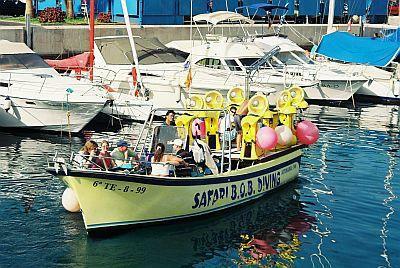 BOB Diving in Tenerife is the first BOB diving centre in Europe, operating since 1997, so while on holiday on the island, don´t miss the opportunity to enjoy a fabulous underwater experience that will be the highlight of your trip. BOB DIVING Tour by Underwater Scooters In Tenerife starts from El Puertito every every day except of Sunday at 10:00 AM, 12:30 AM and 2:30 PM and you will have to reach the meeting point by yourself (no pick up service provided). The stuff speak English, Spanish and a few other languages. In order to make your booking of BOB Diving in Tenerife Underwater Scooters Tour easy and comfortable Tenerife Host use the most advanced and user friendly booking platform TripsPoint.com where you can easily check last actual prices, the tour availability, required booking deposit and book this tour. To get more information of BOB Diving in Tenerife Underwater Scooters Tour and do booking, please, click the button ‘Book Now’. You will be taken to the tour page at TripsPoint.com where you can easily book the tour. Once the booking of BOB Diving in Tenerife Underwater Scooters Tour made at TripsPoint you will get your tour Voucher / booking confirmation with all details, including exact pick-up point with pick-up time and map. 55€ – per 1 person. Insurance and equipment are included in the price. We will pick you up right from your hotel in South Tenerife.